The Spiders and Waves will meet for just the second time in program history, after Pepperdine won the first game (83-77) back in 2002 at the Stanford Invitational in Palo Alto, California. 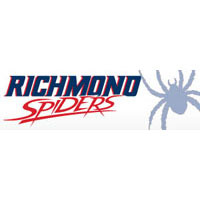 The 2014 Gotham Classic features four games for the Richmond Spiders. ur will play three home games against Howard (Dec. 13), South Alabama (Dec. 18) and IUPUI (Dec. 23) and head to New York for the game on Dec. 20 against Pepperdine. That game is part of an MSG doubleheader that also features N.C. State vs. West Virginia. This year marks the first time that ur has played in Madison Square Garden under head coach Chris Mooney. The Spiders last played in the World’s Most Famous Arena in 2003 when Richmond lost to Manhattan, 70-62. Richmond is returning four starters and 11 lettermen from a team that went 19-14 a year ago. The lone senior on the squad will be second-team All-Atlantic 10 selection Kendall Anthony who averaged 15.9 points/game last year. Pepperdine won 15 games last year and returns three starters from that squad. Stacy Davis returns after he was named first team All-WCC, as he paced the Waves with 15.1 points/game and 7.6 rebounds per game. For all of the latest news on Richmond men’s basketball, follow the Spiders on Twitter (@RichmondBBall) and on Instagram (@RichmondBBall).